Apex Launcher, one of the more popular third-party replacement app launchers for Android, is finally joining the Material Design party with version 3.0. 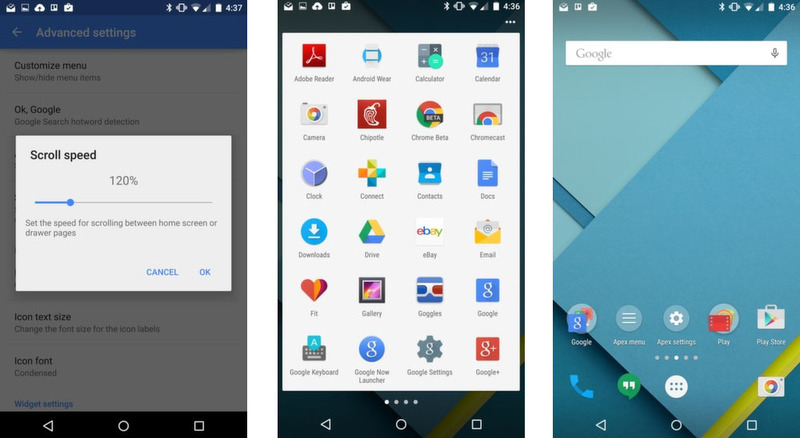 A cleaner and more modern UI brings Apex at least to parity with other launchers informed by Android 5.0. It sports redesigned icons, Lollipop-style drawer and folder animations, a Material Design scroll indicator and search bar, and tweaks to the app drawer. In addition to the restyling, the newest Apex launcher includes a revamped app/widget picker and scrolling speed animation slider. The base Apex Launcher experience is free, but additional options will cost you a $4 in-app purchase. It’s available at Google Play.